We have already discussed the benefits associated with writing and maintaining a gratitude journal. Those who regularly take time to write a journal entry daily on things they are thankful for experience many more positive feelings of emotion, they sleep much better, feel more alive, and generally express much more compassion and kindness. There have been studies done that state that they can even have a stronger immune system. The feeling of gratitude should not be contained only for large occasions in one’s life but should and can be felt for smaller things in life as well. Even these small feelings of gratitude can lead to the above mentioned effects, claims UC David psychologist Robert Emmons. It is important to write regularly (as brief as it may need to be) on things for which you are thankful. Since the benefits are many, I will quickly suggest ways in which you can start a gratitude journal and maintain the habit long term. Sometimes writing the same thing day after day or week after week can keep your brain from being thankful about other fresh grateful moments. You can consider writing about other things you may be grateful for, or writing the task in more detail to vary your entry for additional ‘unrealized gratefulness’. Think about what you are grateful for a bit more by asking yourself “why” up to three times. When focusing on new things around you, you will massively enhance your gratitude regimen. Doing this will slowly change the way you think about different situations in real life for the better. Once you realize the benefits of maintaining a gratitude journal, you will want to start immediately. However the key to maintaining a journal effectively is Momentum. You need to make sure you set aside at least 5 minutes a day to write what you are thankful for, for the day. If you feel like you will be tired at night time, perhaps do a entry when you get home (from work, from school, etc), or the day after (in the morning). Keep in mind that although the task sounds simple, being consistent can be difficult, and so plan ahead and perhaps schedule your writing on your calendar (or better yet, consider adding ‘Write an Entry for my Gratitude Journal’ as part of your ‘Stack’ and set it as a reminder). Another common practice done by many is the Gratitude Jar, which involves writing your grateful movements on a sticky note or any piece of paper and dropping it in the jar to be reviewed at a later time. You will obviously not be able to keep track of your entries (in a ascending manner, like you would in a regular journal), but the goal here is to fill up the jar by an arbitrary time (New Years, Christmas, Birthday) at which point you can review what you were grateful for. The reason for keeping a jar and not tracking your gratitude using an app like TrackMyStack is that it keeps things more fun and exciting, see point above on keeping momentum. Humans are social creatures and as such it is known that if we interact with other’s, our level of happiness increases. It is no different when comes to writing your journal entries, if you focus on non material things and focus on people you are thankful to have in your life, you will see greater benefits from writing your journal. Also, consider telling your friend’s and family and having them start a journal of their own on TMS, or just let your friend know your thankful for having them in your life and why. This may lead to even greater moments of thankfulness down the line with the person. Remember to keep ‘practicing gratitude’ fun and easy! Keeping a journal digitally has the added benefit of being able to be edited from anywhere. 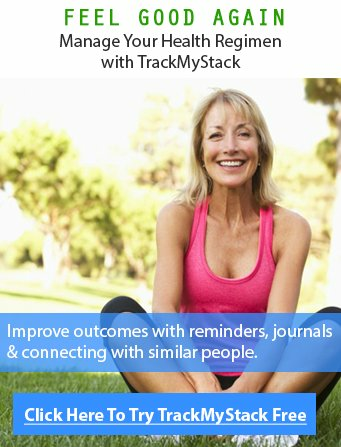 TrackMyStack does a great job of helping you maintain a daily gratitude journal! 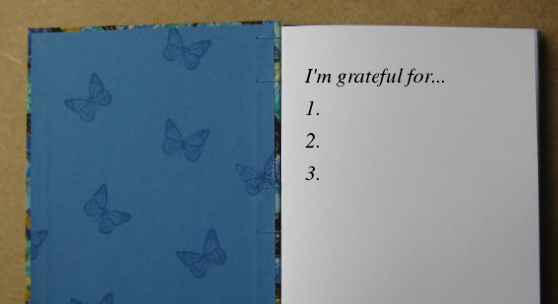 click here to start daily gratitude journal.